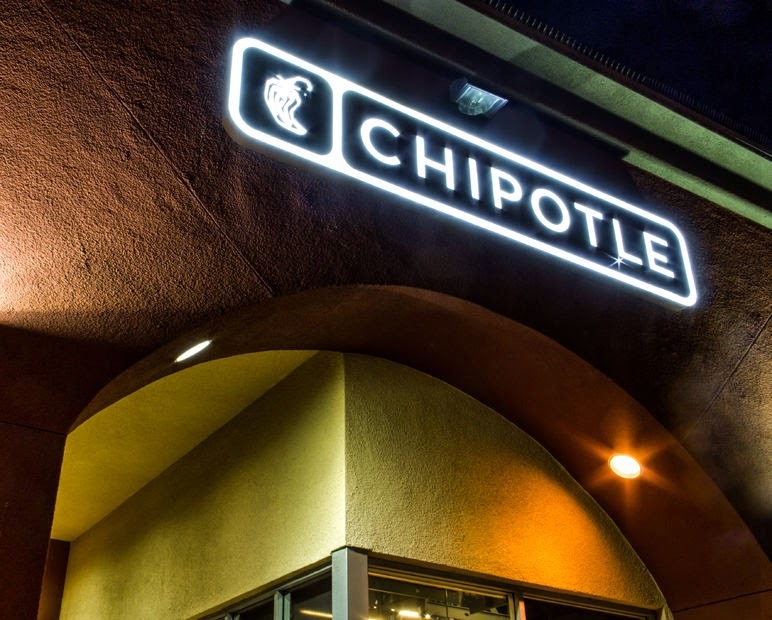 Why Did the Times Get Chipotle So Wrong? Why Did the Times Get Chipotle So Wrong? With reviews like that, I’m not surprised McDonald’s and other fast food joints are financially tanking. But so has “fine dining,” as more people can’t afford or aren’t willing to plunk down $100 or more for a super-fancy meal. Stepping in to fill that gap is casual dining, which offers a hybrid of fast food with fresh, simple ingredients without the greasiness or exorbitant prices. Chief among this casual-dining trend is Chipotle, where you can get a freshly prepared, delicious meal for about 10 bucks. it packed with hipsters, families, second-daters, and people who “don’t do fast food” but likewise didn’t want to drop a small fortune on some overpriced, snotty, deafening Silver Lake bistro. More than you realize. Much to their chagrin, researchers discovered the average Chipotle meal tallies up a whopping 1,070 calories and comes loaded with saturated fat and sodium. “Most orders at Chipotle give you close to a full day’s worth of salt (2,400 milligrams) and 75 percent of a full day’s worth of saturated fat,” write Kevin Quealy, Amanda Cox, and Josh Katz. You would think with three smart, capable Times writers, they would get it right, or at least attack the correct dietary culprits, but no. With more cutting-edge experts now arguing calories are far from the whole picture when it comes to fat loss and great health, or things like saturated fat and sodium mattering not one iota or can actually be healthy, you would think these writers wouldn’t resort to outdated criteria to evaluate Chipotle. To understand why these Times writers got it so wrong, let's weigh the perspectives of experts who see the bigger picture and acknowledge calories aren't the whole story. Hyman continues with a brilliant contrast between 1,000 calories of soda versus broccoli, discussing the hormonal and metabolic impact of both foods, to drive home the point that calories matter but hormones matter far more. Likewise, as more studies vindicate saturated fat, experts have re-evaluated their stance. “After forty years of never being able to hear the term ‘saturated fat’ without the modifier ‘artery-clogging’, after being told for more than four decades that saturated fat is ‘bad’ fat that will lead to high cholesterol and heart disease, after obsessively banishing animal fats from our diet and replacing them with ‘healthier’ fats like canola oil (insert ‘rolled eyes’ here), the tables are finally turning, the tides are finally shifting, down is up and up is down, and in the Alice in Wonderland world of nutrition, eating fat is ‘in’ again,” writes Dr. Jonny Bowden. Even salt isn’t the horrible nutrition monster we once thought. If calories, saturated fat, and sodium aren’t to blame – or at least aren’t the dietary evils these Times writers consider them – what is? Interestingly enough, carbohydrates weren’t mentioned at all in the Times blog, and sugar was mentioned just once (as “a sugary drink”). Customization is one of Chipotle’s signature offerings. Screw it up and yes, you could end up with some big-calorie, super carb-y, high-sugar impact monstrosity. 1. Start with salad as your base. That way, you skip the gluten-loaded, carb-y burrito and taco shells. 2. Add beans. They add a perfect fiber-protein punch. 3. Add your protein. I love steak, though sometimes opt for carnitas or chicken. If you’re a vegan, vegetarian, or just don’t want animal protein, Chipotle also offers sofritas (organic tofu). 4. Load up on fajita vegetables. Definitely ask for extras here! 5. Salsa, please. Skip the sugary salad dressing and load up on salsa instead for lycopene and other fabulous nutrients. 6. If you’re not dairy intolerant, have a little sour cream or cheese. If you’re not a dairy fan, or just can’t handle it, no biggie. But a little sour cream or cheese can really liven up your salad without the sugar impact. 7. Top with guac. Trust me, the $2 “splurge” is totally worth it. Pair with a bottled water or unsweetened iced tea (bring your own liquid stevia to sweeten), and you’re good to go. Fast, filling, healthy, affordable, and pretty darn delicious. Best of all, you’re eating real food that will satisfy you with a very low-sugar impact, so your blood sugar and insulin levels stay steady, keeping you full longer and eliminating cravings and sugar crashes. When you dine at places like Chipotle, which oftentimes prominently display foods’ calorie counts, do you worry about calories or not? Share your take below or on my Facebook fan page.